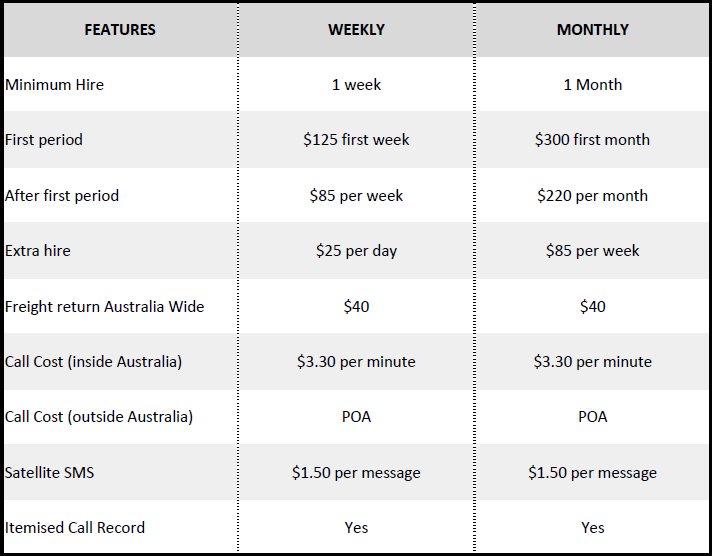 The Lowest Priced Satellite Phone Hire in Australia. Free incoming calls and caller only pays the cost to call a standard mobile number. Easier to use, no need for messy interntional dialling. Just get coverage and dial as if you would a mobile phone. A self addressed return Express Post Bag is included in the parcel. We do not offer insurance for lost, stolen or broken equipment. Customers will be required to pay the full retail price to replace any lost, stolen or broken equipment. Some customers in the past have used their own travel insurance and there home content insurance policies.